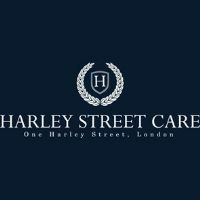 Harley Street Care is a leading domiciliary care agency for those seeking high-quality care and support at home. Inspired by the need for first-class care in familiar surroundings, Harley Street Care was founded with the aim of taking an ethical approach to domiciliary care. 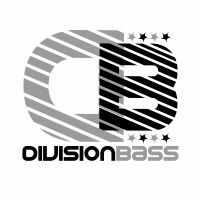 DivisionBass Digital are an independent digital EDM Record Label and Publisher and Audio Mastering service based in Bristol England who specialize in most types of Electronic Dance Music including Drum and Bass, Dubstep, Most types of House Music including Electro House and Tech House, Techno, Electronica, Glitch, Trap and many other types of edm and modern genres. We also provide an Audio Mastering service at great prices. GreenWaves Audio Mastering by DivisionBass Digital is a Low Price professional EDM and other modern music online audio mastering service for independent artists and labels that might be on a tight budget. Our sound engineer's have worked on hundreds of independent artists and Record labels projects from around the world for many years and specialize in audio mastering all types of EDM including Dubstep, Drum & Bass, Electro House and more. PB Supercar Hire is a sensible, trustworthy supercar hire and leasing compnay based in London since 2006. Bristol web design and graphic design specialists, Oranda Design offer a fresh approach to design with professional services at down-to-earth low cost prices. We offer everything from website design through to stationery design and logo design. It is important that your car is well looked after when not in use somewhere secure, well lit, dry and managed 24 hours per day. We are situated in the Bristol area with main road frontage and have recently completely refurbished a 10,000 sq ft facility and have installed digital CCTV and new roller shutter doors. Hertz Rent2Buy offers you a wide range of used cars for sale and our 5-day test drive to help you make the right purchase choice. We have a huge collection of used cars ranging from compact hatchbacks to commercial vehicles to cater to all your needs and requirements. If you cannot find the vehicle you are looking for? Contact our Rent2Buy team on 020 7365 9035 to get the stock details. Check 'used cars by make' available in our inventory. Romford Emergency Plumber is a company that repairs, installs every brand boiler and gas, oil and water device. Our emergency plumber will reach you within a few minutes of your call and help you with the problem. We work 24/7, 365 days a year. Registered gas engineer. Call us now. 2 years warranty. Westminster Security Ltd are an industry leading private security company based in central London. Providing premier security and investigations throughout the UK and EU. Our forte is close protection (bodyguard) services, combining security chauffeurs, residential security and surveillance teams. Elephant Removals Company provides fast and safe home and business removals in London and across the UK. Call or email to get your free, no-obligation moving quote - benefit from competitive price rates and thrilling deal and removal discounts. Apply from our website and get a 10 extra discount. a leader in Trenchless Services and No-Dig Solutions, including Guided Auger Boring, Directional Drilling, Rock Drilling, Timber Headings, Auger Boring and Pipe Ramming. With more than 30 years' experience in Trenchless Drilling Services, we have successfully completed thousands of projects. Preserve Protect provide car undersealing and rust protection for a wide range of vehicles throughout Scotland. Dinitrol treatment. Buy the best vape juice online. Premium E-Juice and E-Liquid online delivered directly to your front door. Free next day delivery on orders over £20! Click Solicitors was set up in 2015 by Vivien Earp, a specialist employment solicitor, to provide a fairly priced, fixed fee service that puts the client first. 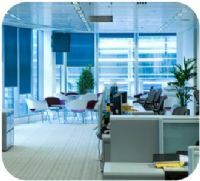 We focus solely on employment law. DCSL is UK-based software development consultancy creating powerful solutions for companies large and small. Our services include all aspects of software development, web development, bespoke applications, CRM systems, data migration, application support and hosting. Leaflet distribution by hand through your target audiences’ doors continues to be one of the most effective marketing methods available. Your message is delivered precisely where your audience is most relaxed, comfortable and receptive. Buy the best E-Vapour juice online with E-cigarettes, E-Liquids & more delivered directly to your front door. Free DPD next day courier available on orders over £20! Allen Watson provide a wide range of no-dig and trenchless drilling services throughout the UK. Hull based boiler specialists, offering the very best in new & replacement gas boilers, boiler repairs and service. GraftinGardeners Ltd are London's largest tree company specializing in all aspects of tree surgery for domestic, residential and commercial clients. They provide a full range of services from pruning to removal and stump grinding. Call them today for a free quote on your tree surgery requirements. Food supplement retailers specialised in premium CBD oil, organic superfoods, collagen peptides and multivitamins. Offices in London. State-of-the-art warehouse in Northampton. Free shipping and gifts available. Serving the UK and Europe. Remove unwanted body hair by booking a session at Medspa London, a place where the great soprano ice laser hair removal technology is used. The advantages of the soprano ice laser hair removal technologies are undisputable, as the pain is almost completely removed from the hair removal process. Home House Buyers buy any house, in any condition for cash in the UK. Get a cash offer quickly for your property.